Traditionally, the place to head for great Korean food inside the M25 has been New Malden. But these days you don't have to head so far for your bibimbap or bulgogi (though places like Jin Go Gae and Sorabol still make it well worth the trip to Little Korea). 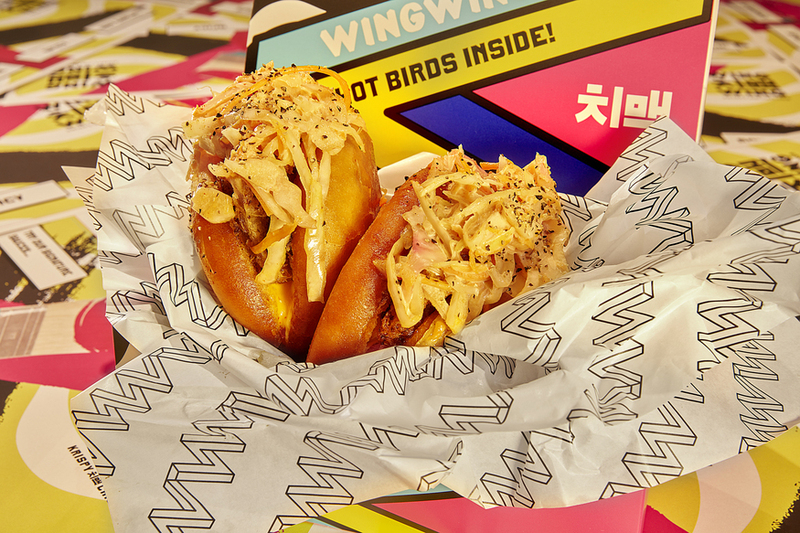 Now you can find Korean restaurants scattered across London, serving everything from modern fusion to traditional hotpots, and from ornate soju cocktails to sticky deep-fried chicken wings. It's a fierce optimist who turns up to Dotori without a booking. The tiny, run-down entrance often has queues trailing outside. Prices are low and the food's staggeringly good — with two (very long) separate menus of Korean and Japanese food it seems unlikely they're doing both of those well, but we challenge you to find a miss among all the hits. For maximum menu coverage and a very crowded table of food, go for the Korean and Japanese Set Menu A. The Japchae beef noodles and steamed dumplings would be worth fighting over, but portion sizes are so generous that you don't have to. Dotori 3 Stroud Green Road, N4 2DQ. For industrial décor and a cheerful, buzzing feel — more bar than restaurant — paired with relatively traditional food, On the Bab's first Old Street outpost has the market cornered. There's usually a queue outside but zero sense of hustle to the service once you're seated, and though the menu's good across the board, the stand-outs are the On the Bun dishes — the spicy pork or bulgogi beef are perfectly sticky, the buns they're wrapped in, perfectly soft. On the Bab, 305 Old Street, EC1V 9LA. See website for other locations. With a warm, bistro setting and letting you BYO wine, this Hampstead Korean was always going to be popular in the evenings. But it's even better for brunch, serving a menu of European dishes with a Korean twist — think kimchi pancake with scamorza and rocket, steamed buns with pulled pork and pickled daikon, and the unbeatable kimchi croque monsieur. The Petite Corée, 98 West End Lane, NW6 2LU. They're all about the rapid turnover at this Soho restaurant, so it's not a place for a drawn-out dinner — but it's hard to beat for a lunch break hit of KFC (Korean Fried Chicken). Or for a fast, pre-theatre visit we recommend one of their namesake bibimbaps, served hot or cold, and heaped with rice, egg and enough beef, seafood or vegetables to make one plausibly enough for two medium-hungry people to share. Bibimbap Soho, 11 Greek Street, W1D 4DJ. See website for other locations. BBQ at Jin Go Gae. Of all the Korean restaurant-reasons to head to New Malden, Jin Go Gae might be the best. 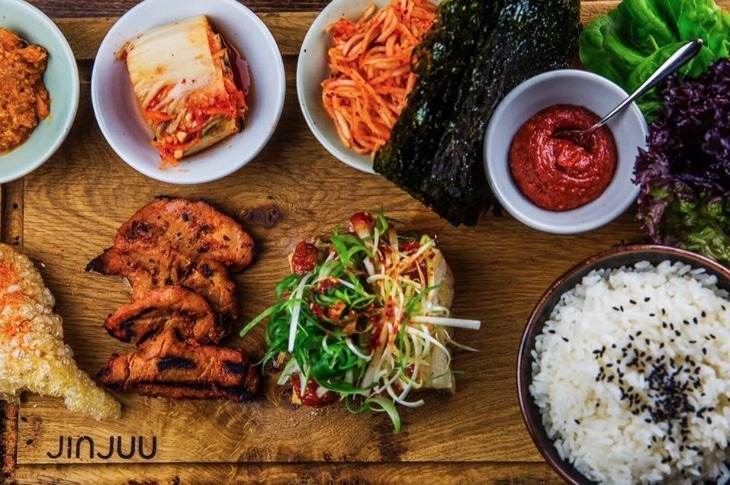 The hotpots to share and anju (halfway between a starter and a bar snack) on offer are plentiful, but Korean BBQ is their speciality. 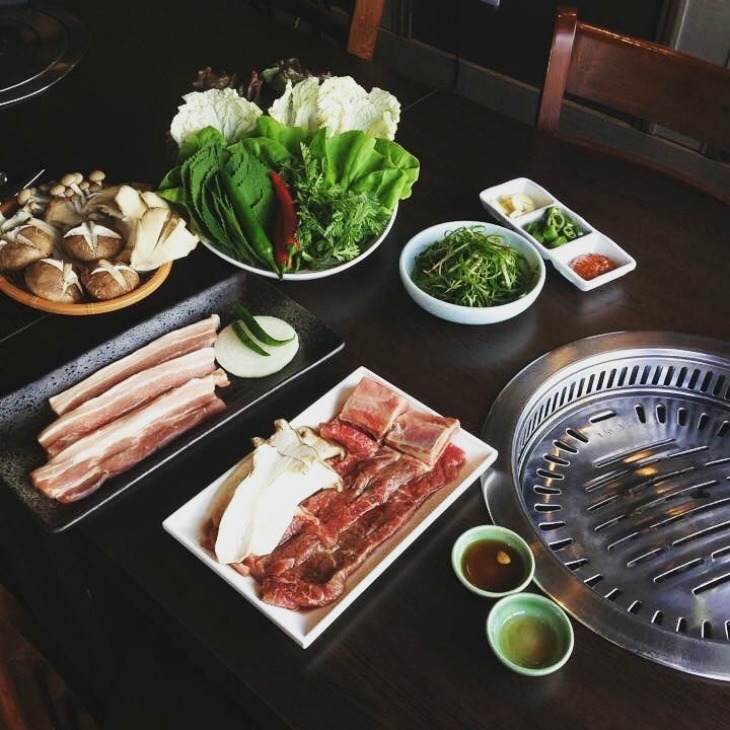 Order the Dae-ji Kalbi for slices of marinated pork rib cut, or the Ju Mulluck for thick-cut sirloin in sesame oil, cooked on a grill at your table. 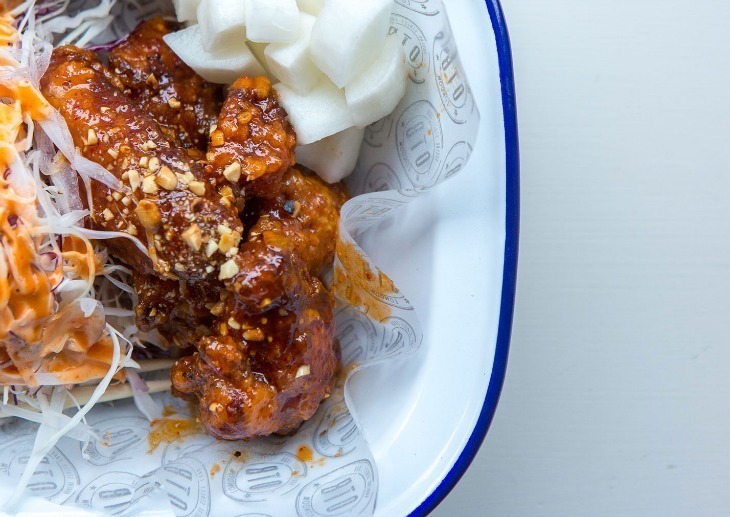 This Woburn Place fast food joint specialises in Korean fried chicken, beer and bao, as well as K-Pop, with big screens playing the hits in the main restaurant, and a karaoke room in the back where you can belt one out yourself. You can read the review and check out a video from our visit here — the short story is: we've had better fried chicken, but the bao (come in both crunchy katsu and sweet, peanut-topped varieties) are thoroughly worth a visit. Wing Wing, 30 Woburn Place, WC1H 0JR. This Soho restaurant comes complete with celebrity chef (Judy Joo) and a menu of fusion bar snacks that’s not for purists. Head there for bulgogi tacos and kimchi arancini to go with their inventive soju cocktails. This smart Korean on the Maida Vale stretch of Edgware Road does the classics well, with slightly more polished service than many a more rustic spot. The bibimbap is well-made and generous, though prices are generally higher than other places on this list. Gogi, 451 Edgware Road, W2 1TH. Barbecue dishes are the speciality at this cosy spot next to Finchley Central station — and bulgogi beef is the star of them — cooked yourself at grills in the centre of each table. Really reasonably priced. A tasting board at Jin Juu. Han for bulgogi with a side of power ballads at this karaoke palace.